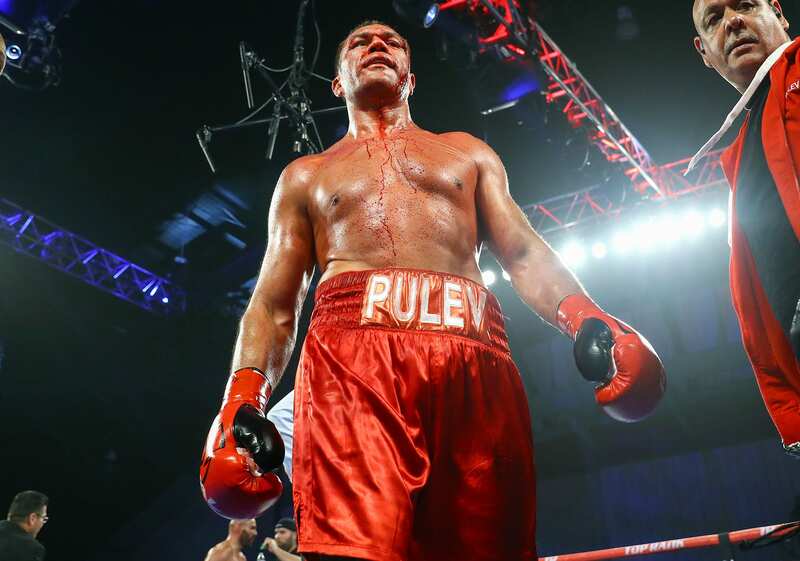 Kubrat Pulev will always remember the date 23 March 2019. 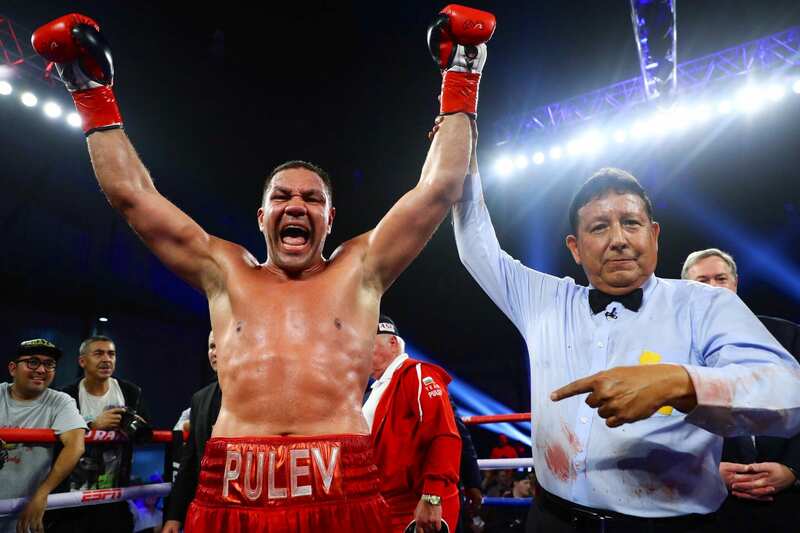 This is the date when he earned his 27th victory in professional boxing, defeating the Romanian boxer – Bogdan Dinu in the 7th round in a messy drama in the ring at Costa Mesa, California. For The Cobra this was his 14th knockout in his professional career, which came after three consecutive knockdowns for his opponent. Everything turned for the Bulgarian in the 4th round when he received a very heavy arcade which is very rare in boxing – combining vertical and horizontal tear over the left eye. The blood literally was pouring down his face, body and ring, and the option of the fight to end with a victory for Dinu with a technical knockdown was real. The cut-man in Kubrat’s corner performed miracles and masterfully managed to patch the arcade. In the 5th and 6th round the blood spill continued but instead of giving up, our boxer kept it cool and continued purposefully fighting so he can end the match with a knockout as quickly as possible. His attacks became more and more powerful and his punches with a combination of straight lefts and rights ended more often at his opponent’s head, who was losing his defence. At the first knockdown in the 7th round the judge took a penalty of 1 point from Kubrat because one of his punches ended in the back of his opponent’s head, while he was on one knee on the ground. The Cobra bowed and apologised. The fight continued and Kubrat took his opponent down again but he managed to stand on his feet again. The third knockdown was his final. After all of this everything is history. In front of a roaring crowd in The Hangar chanting “Bulgarians – winners” Kubrat was standing on the ropes of the ring, waving the Bulgarian flag, screaming like a wounded animal, enjoying his victory. The first person who managed to speak to Kubrat after his victory was the legendary Bob Aaron (the longtime promoter of Mike Tyson, founder and chief of the Top Rank agency which has been representing Kubrat since the start of the new year. Sticking right to his side was Tervel, Kubrat’s brother, who was wiping Kubrat’s blood off of his face after the fight. Ironically Tervel also received an arcade earlier that night when he was fighting fiercely with character.